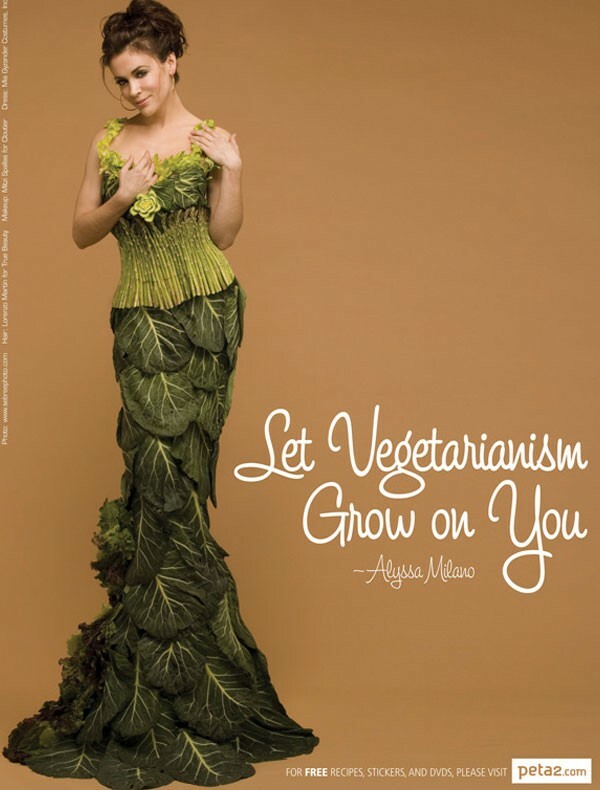 Can Celebrities Make Vegetables Cool? 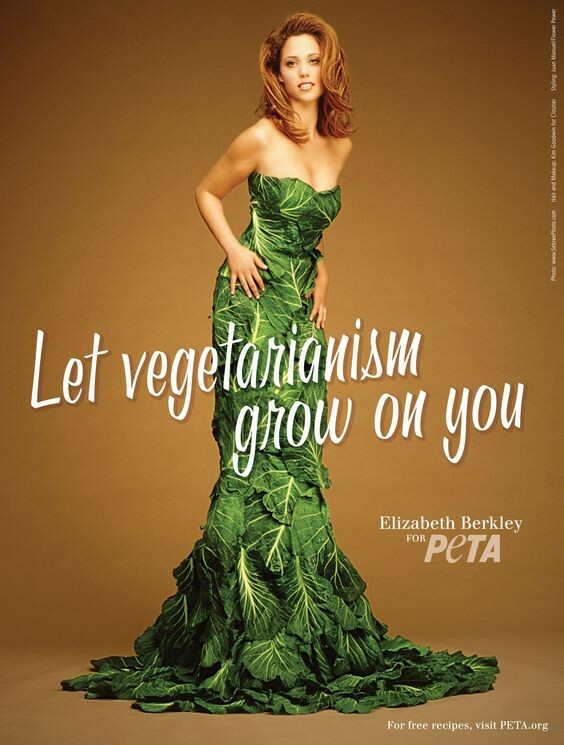 If only Americans could just eat more vegetables, the world would be a little bit less terrible, right? We’d live longer and look better, and the seas would rise less quickly. Who knows—we’d probably achieve world peace. Our first lady knows this better than anybody: In Michelle Obama’s nearly eight years on the job, she’s prioritized healthful eating by starting a White House garden, helping launch the Let’s Move campaign to fight childhood obesity and enlisting the help of some influential celebrity endorsers in a campaign that aims to turn fruits and vegetables into a brand. 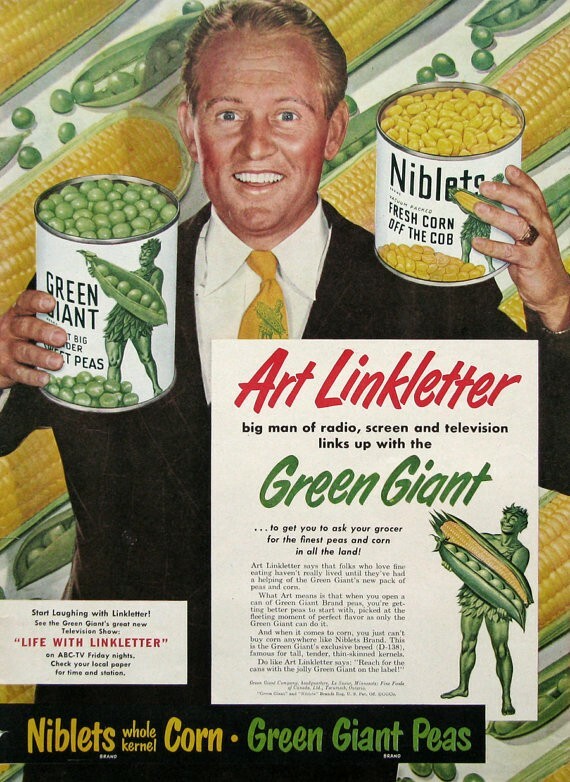 Here’s hoping they’ll be a bit more successful than some of their forebears, who have been peddling the power of vegetables since the early post-War days. 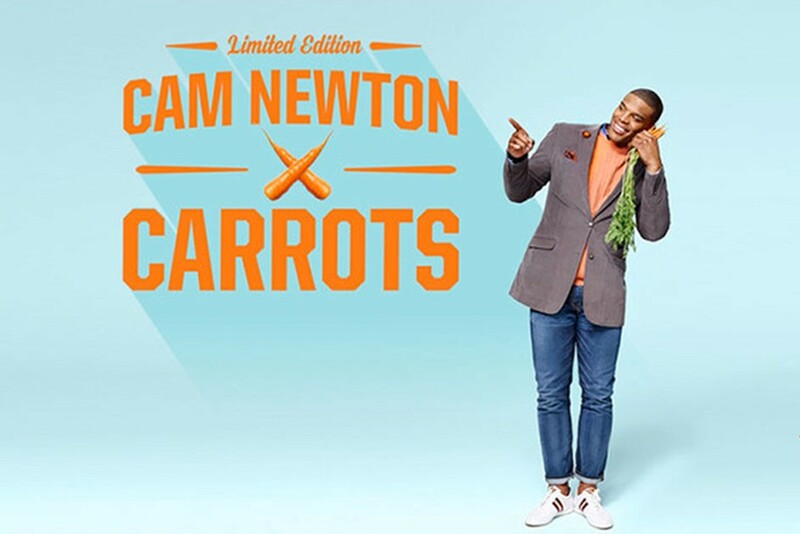 We revisited a few of our favorite attempts from celebrates to shill veggies below. 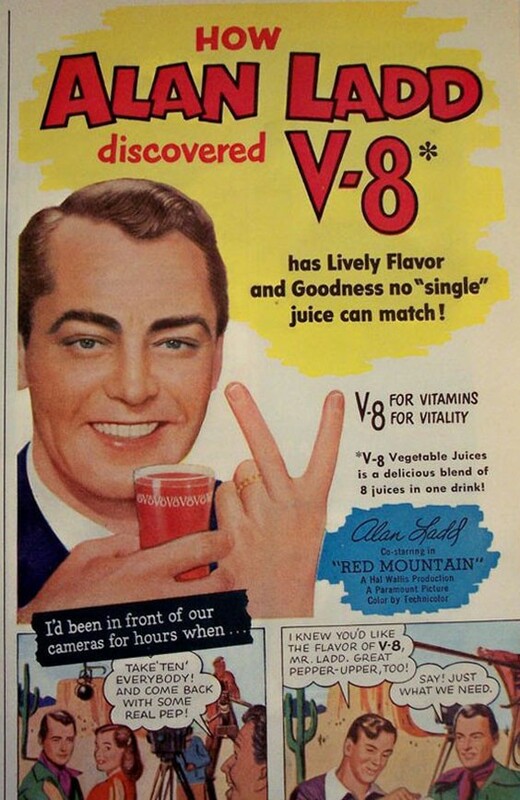 Before there was a cold-pressed juice shop in every fancy neighborhood marketing toxin-cleansing vegetable-water as a meal replacement, there was a mysterious red beverage called V-8 (now V8)—helping consumers realize their true vitality since 1933. 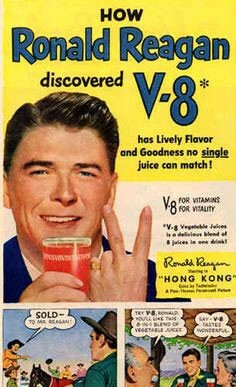 After Campbell’s Soup bought the brand in 1948, it enlisted a team of movie stars to share their stories of discovering the beverage, including future president Ronald Reagan. 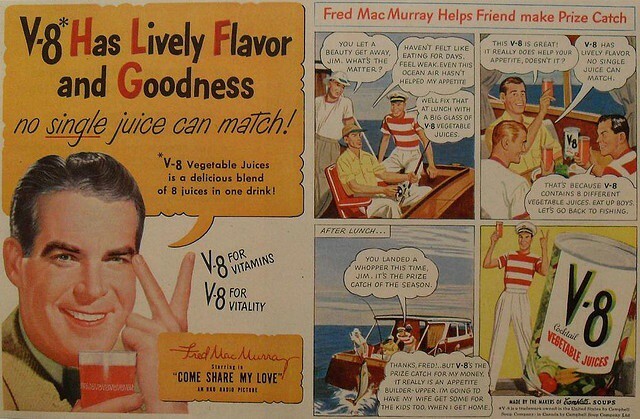 Weirdly, one of the messages at the time was that the beverage would make you feel hungrier, which feels completely incomprehensible by 2016 standards. 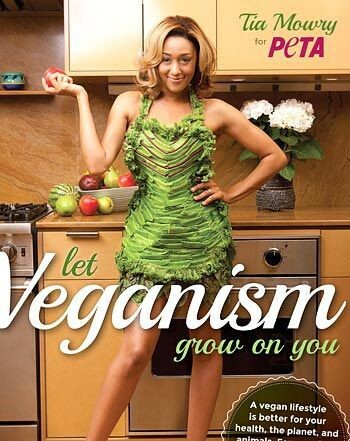 Perhaps in response to Lady Gaga’s infamous meat dress, PETA decided to outfit B-listers in lettuce and collards. Thanks, PETA — these images are certainly an improvement from pictures of the usual traumatized alpacas. 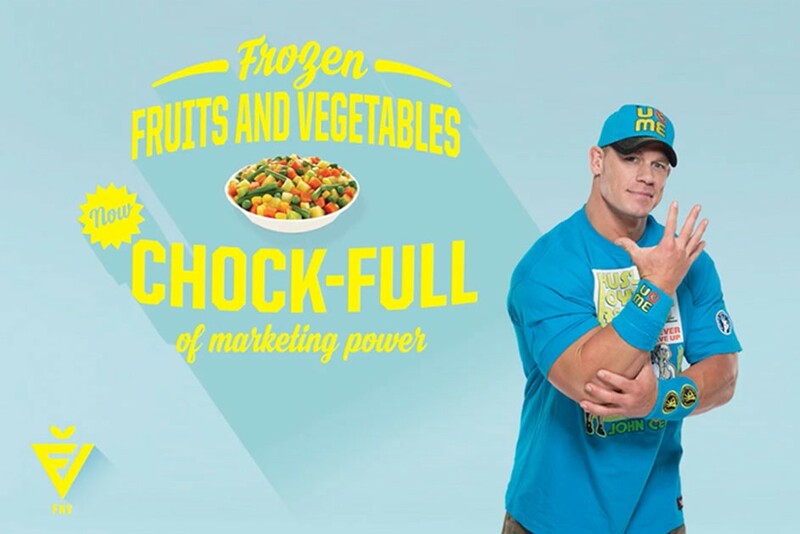 This clever campaign, supported by FLOTUS herself, takes a more meta approach by asking, What would happen if celebrities “sold out” to carrots and watermelon—rather than, say, Pepsi? The result: Grapes, brought to you by Gronk, and grapefruit, brought to you by Cindy Crawford.